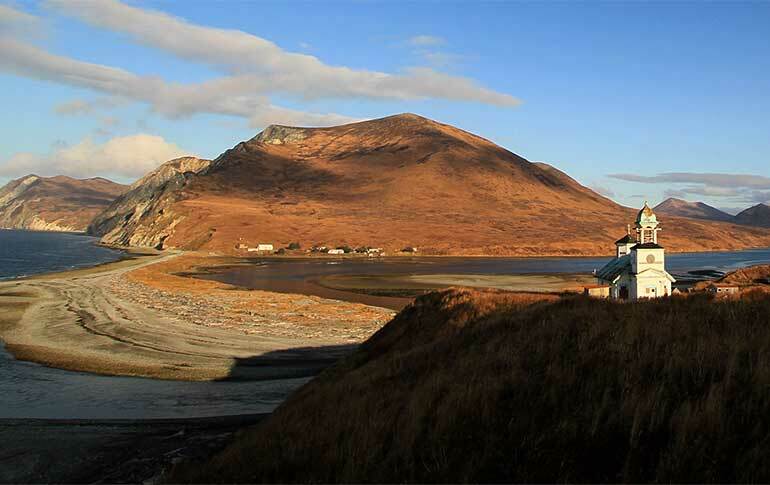 Karluk is one of the six surrounding villages located in the Kodiak Archipelago and home to more than 37 residents. Island Air Service has been flying to this location for over 30 years. Island Air offers scheduled service weekly to Karluk and the ability to charter one of our 11 aircraft if the schedule does not fit your needs. The village of Karluk is located on the west coast of Kodiak Island, along the Karluk River. Karluk is approximately 75 air miles southwest from the city of Kodiak. Surrounded by low-lying mountains and moist tundra. For more than 5,000 years the mouth of the Karluk River has been home to many different locations of villages for the Alutiiq people. Russian hunters came to Karluk in 1784 and established a trading post two years later because of the abundant salmon run in the Karluk River. In 1878 the Karluk Packing Company was the first cannery built in Kodiak. By the late 1800’s there were at least 5 canneries operating out of Karluk. The Karluk canneries were producing most of the sockeye salmon that came out of Alaska which brought in many new people to work and fish for the canneries. Over-fishing eventually decreased the salmon population and the canneries closed down in the 1930s. Things to do in Karluk include visiting the Karluk Russian Orthodox church built in 1888. There are over 46 archeological sites that show evidence of ancient Alutiiq inhabitants. The Karluk River is known to be the best sockeye salmon run in the world. Island Air Service provides weekly transportation to and from the village of Karluk. With its exceptional beauty, world-class fishing, and historical native archeological sites, Karluk is a great location to travel to. As one of the six surrounding villages on Kodiak Island, we welcome you in joining our flights to visit Karluk.